ACS-A was selected to develop a number of critical composite components of the newest generation of the Martin Jetpack, including the airframe, pilot module, landing gear and ducts. Innovative designs concepts were developed and optimised using advanced crash simulation finite element analysis to ensure complex loading cases and stringent mass limit requirements were met. Full detailed design was conducted including engineering drawings to enable prototype and pre-production article manufacture and assembly. Material and process selection to ensure ease of future certification. 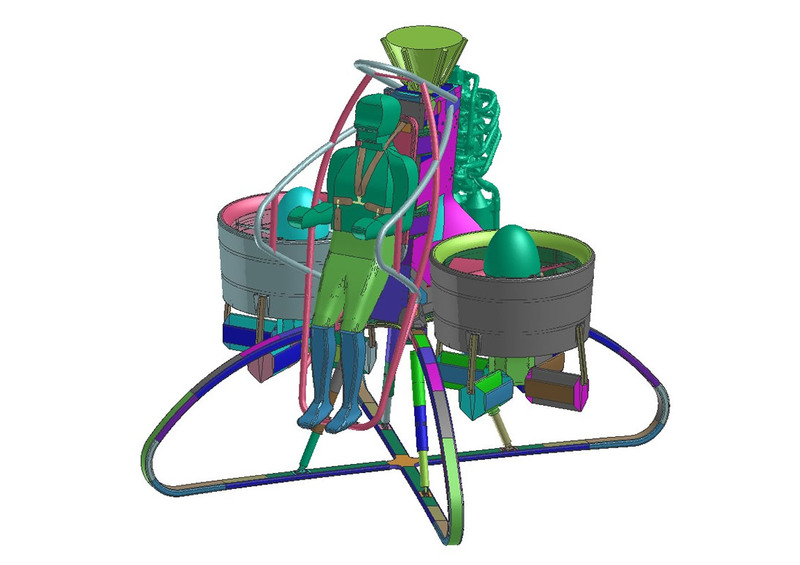 Optimisation of landing gear skid design based on test results and parametric FEA studies. Lay-up optimisation to reduce mass.